Remote Sensing Technologies was formed to promote the use of and advancement in remote sensing. There are two basic types of sensors. They are passive and remote sensors. Passive sensors gather radiation that is emitted or reflected by the object or surrounding areas. Reflected sunlight is the most common source of radiation measured by passive sensors. Examples of passive remote sensors include film photography, infrared, charge-coupled devices and radiometers. Active collection, on the other hand, emits energy in order to scan objects and areas where upon a sensor then detects and measures the radiation that is reflected or backscattered from the target. Radio Detection And Ranging (RADAR) and Light Detection And Ranging (LIDAR) are examples of active remote sensing where the time delay between emission and return is measured, establishing the location and distance of an object and will differentiate the distance between the ground and the height of that object. While Remote Sensing Technologies has conducted investigations in flooding and other areas of interest, we have turned our concentration to those projects dealing with sustainable land management and the agriculture industry. This means that the main area of our investigations are those issues dealing with vegetation, both typical and invasive species. So how is it that we can accurately determine when a crop or grassland is under stress? We look closely at the radiation or reflectance of the chlorophyll found in the leaves of plants and grasses. Chlorophyll strongly absorbs radiation in the red and blue wavelengths but reflects green wavelengths. Leaves appear “greenest” to us in the summer, when chlorophyll content is at its maximum. In autumn, there is less chlorophyll in the leaves, so there is less absorption and proportionately more reflection of the red wavelengths, making the leaves appear red or yellow (yellow is a combination of red and green wavelengths). The internal structure of healthy leaves act as excellent diffuse reflectors of near-infrared wavelengths. If our eyes were sensitive to near-infrared, trees would appear extremely bright to us at these wavelengths. In fact, measuring and monitoring the near-IR (NIR) reflectance is one way that scientists can determine how healthy (or unhealthy) vegetation may be. Vegetation could be differentiated using NIR sensors, e.g. deciduous trees have a higher reflectance than the coniferous in NIR. We use our NIR sensitive cameras on our manned aircraft or drones to create a Normalized Difference Vegetative Index (NDVI). The use of the NDVI, allows us to determine if a field is lacking fertilizer, stressing because of too little water or is being impacted by pests, be they insects or fungi. This process has been developed and refined by Remote Sensing Technologies into a program called LandScan©. To order your LandScan or learn more, email us at info@rst1.net or call toll free 855-677-7070. 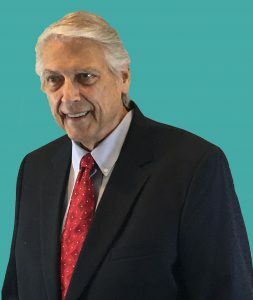 Remote Sensing Technologies, LLC was founded by Ray David in 2018. Ray brings 38 years of research and laboratory ownership experience as part of his portfolio. He brings his Chemistry/Biology degree to bear when attacking issues including: forestry, land management, agriculture, HazMat emergencies and environmental challenges. His education has taken him through Indiana Wesleyan University, Purdue University and Grand Valley State University (GVSU). Ray was the first Laboratory Director of the research arm of GVSU, The Annis Water Resource Institute at GVSU. In the mid 90s, he purchased his second laboratory and left Grand Valley. In 2012 Ray founded an educational Non-Profit to instruct owners of small and medium sized businesses, on how to implement best business practices using the examples of businessmen found in the bible. The unique caveat of the program was that the graduates agreed to hire and train their next employee from the core city when possible. The motto was “To eliminate poverty, one job at a time.” One of the individuals Ray invited to be a board member was business owner and Lt.Col., Jeremy Latchaw. As their personal friendship developed, they became interested in drones and remote sensing. Subsequently, as they invested in their business relationship, It became apparent that each developed several areas of interest and expertise. Jeremy used his skills in training and public safety while Ray found his sweet spot in remote sensing including agriculture and sustainable land management. So while the corporation is relatively new, the experience and expertise is not. Ray and staff look forward to answering any questions you may have by contacting us at www.info@rst1.net or 855-677-7070.